There’s nothing like a road trip along Highway 1, but let’s face it, that’s a lot of time in the car. If you’ve got the itch to stretch your legs and burn off some energy, pull over in the Arroyo Grande Valley. This lush valley provides a change of pace from the beach towns and coastal views along the route. 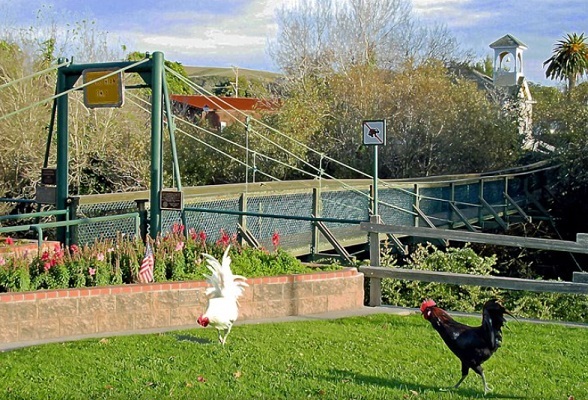 Whether you want to cool off at the waterpark, poke around the antique shops and eateries downtown, meet the roosters and chickens that roam the streets, or get an adrenaline rush with a trip to an adventure park, the Arroyo Grande Valley is perfect. And the region’s plethora of wineries only add to the charm of the area. Enjoy a glass of locally-made wine, bike through the vineyards, stay in a vacation rental or B&B right in wine country and make the most of it. 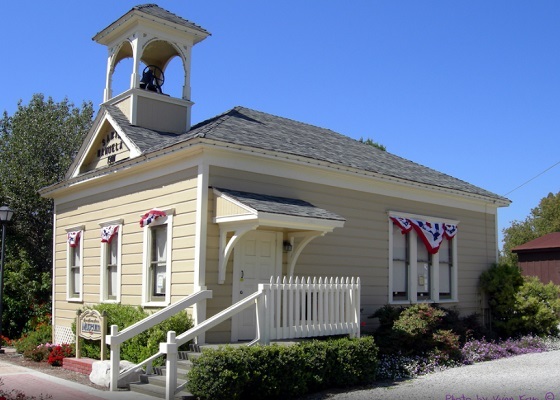 Here are some of our favorite Arroyo Grande village and valley attractions to explore! The Clark Center for the Performing Arts is the hub of the Arroyo Grande Valley for all things entertainment. 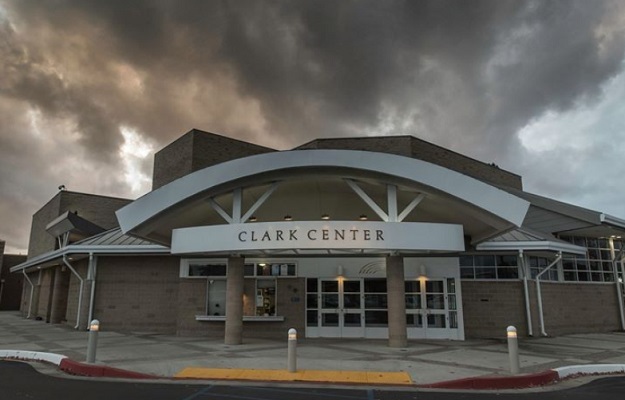 The Center was built in the late 1900s because Cliff Clark, a local resident, was sick of seeing Arroyo’s finest talent having to perform in the high school gym. It offers a wide variety of shows circling every season. From stand-up, to Shakespearean classics like The Taming of the Shrew, to a neo-traditional Hawaiian band, you won’t want to miss out on what the Clark Center has in store. 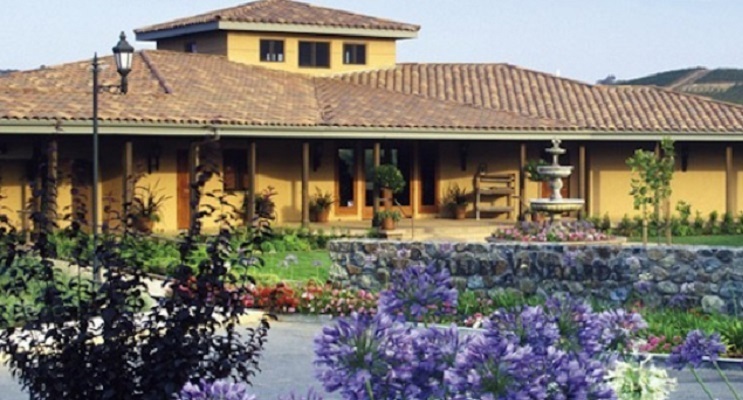 It’s located in the city of Arroyo Grande, a quick 10-minute drive from the valley. Be sure to keep an eye on their website for upcoming shows and ticket prices! Driving through the Arroyo Grande Valley, you can’t help but smile as you’re greeted with mile after mile of beautiful, hilly countryside, produce stands popping up at all corners of the road, and free-roaming chickens that always seem to be milling about the downtown. 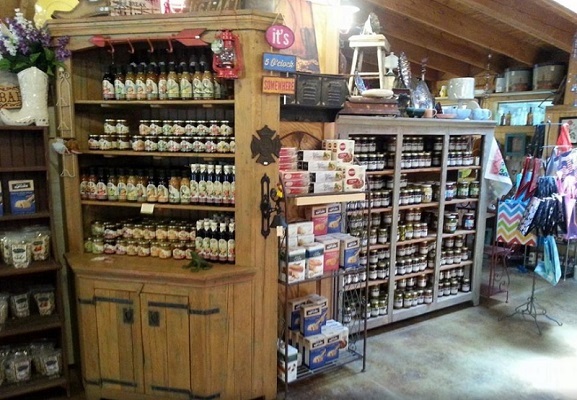 It’s got rustic charm, combined with a classic countryside feel at wineries and historic sites. Although this is just one of many ah-mazing vineyards in the Arroyo Grande Valley, Talley Vineyards is a must-stop. Just 10 minutes from Highway 101 in Arroyo Grande, check out Talley Vineyards for a tour or a stop in the tasting room. The family-run vineyard has been producing wine since 1986, and you will not want to miss out on your chance to explore the rolling hills and row after row of lush vines. Check out the website to book your winery tour– and, pro tip, do the tour with wine tasting. It’s only $20! Talley Vineyards also has a full farm and runs a farm stand offering a variety of two dozen or so different freshly-harvested veggies and other offerings right next door to the winery if you’re just looking for a quick stop and healthy treat. Adventure awaits at the Vista Lago Adventure Park. This place is a wonderland for thrill-seekers, adrenaline junkies and adventure enthusiasts alike. 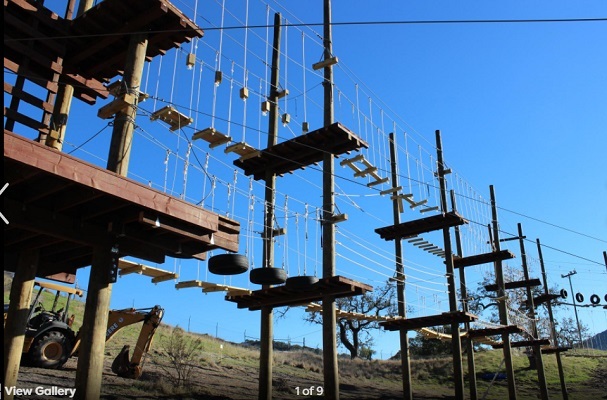 Book the 3-hour adventure tour if you want the premier thrill experience– it features a 45-foot-tall ledge, 3 ziplines and a whole lot of rope-course obstacles on lower and upper levels. Looking for something a little more intermediate? Try the 2-hour agility tour. It’s got a pole walk, tire bridge, cargo net and lots more, all centered around the lower level. Plus, you get a pro walking you through the course the entire time. Either way, this place will get your heart racing. Slide and splash into some good ol’ family fun at Mustang Waterpark, conveniently located at Lopez Lake Recreation Area. 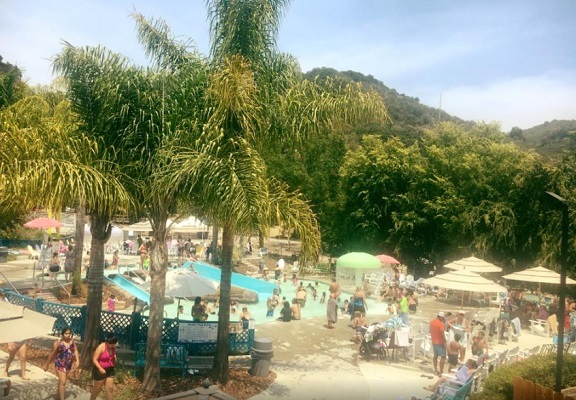 Just 10 miles east of Arroyo Grande, you cannot miss the chance to stop here and dive headfirst into the aquatic wonderland. The park has water slides for days, but you have to try the Stampede. It’s Mustang’s coolest attraction, plummeting 38 feet down one side of the giant half-pipe in an inner tube, then speeding back up 38 feet on the other side! You can ride solo for this one, but you might wanna grab a buddy to hold on to, it’s a wild ride! 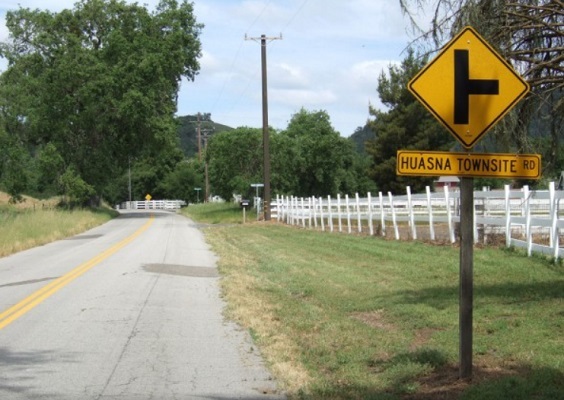 Large ranches, miles of rolling hills and gorgeous trees await at the Historic Huasna Townsite. The Huasna Valley is just 20 minutes from Arroyo Grande and it’s known for its growing succulent fruit, beautiful flowers and lots of veggies. This is the perfect place to grab a bike and glide down the hillsides, exploring the area. In fact, it’s best known for its stellar biking route on Huasna Townsite Road. Be prepared to sweat a bit; coasting down the hills is a breeze, but pedalling up them can be a struggle. You’ll be rewarded with amazing views, though, so the payoff is totally worth it. 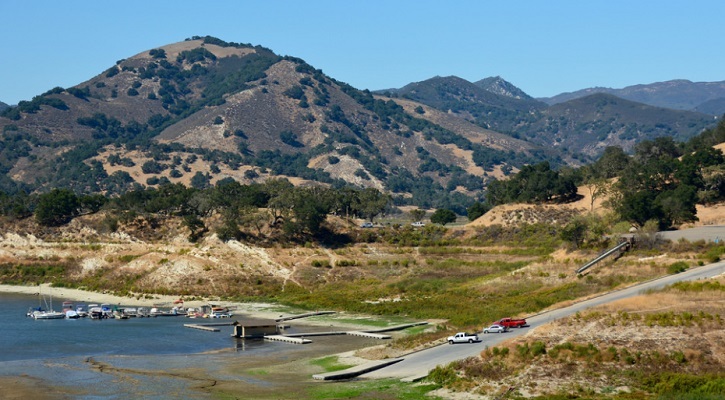 Located just ten miles east of Arroyo Grande, California, Lopez Lake Recreation Area is one of the best hiking spots around. The recreation area stretches over 22 miles of shoreline and there is something for everyone; camping, fishing, boating, picnicking, hiking and equestrian trails, mountain biking, ziplining, birdwatching, picnicing and so much more. The best part is, there’s never a bad time to visit here– the weather is always spot on, making it the perfect destination year-round. Whether you’re treating yourself to a glass of wine after biking through vineyards, or heading out to a show after a long day touring the beautiful Valley, Arroyo Grande Valley has something for everyone. This lush valley provides the beauty of the countryside smack dab only four short miles from coastal beach towns. As far as vacation spots go, it’s hard to beat Arroyo Grande Valley!